Members of the student-run Bowdoin Art Society use works on view at the Bowdoin College Museum of Art to lead a public discussion about a current topic of interest in the art world. Open to the public, free of charge. Sponsored by the Bowdoin College Museum of Art. 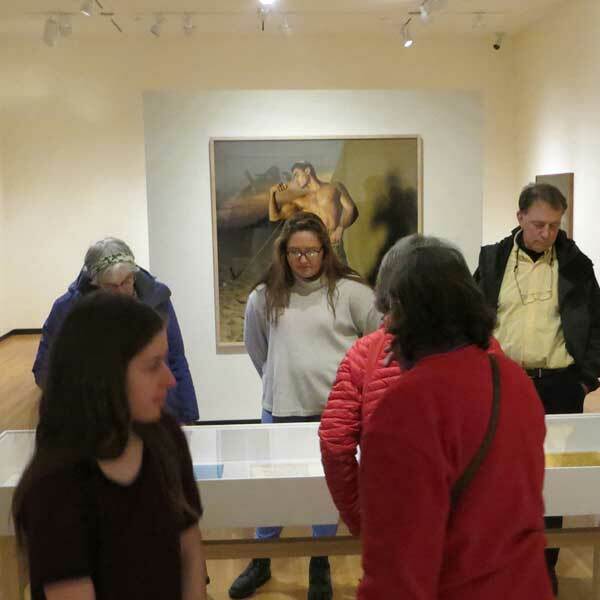 Image: Patrons view exhibit works during a gallery talk at the Bowdoin College Museum of Art.